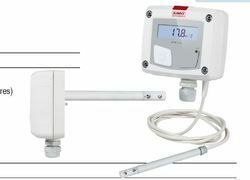 HVAC Sensors, Transmitters, Data Loggers, Instruments, for all HVAC Applications. 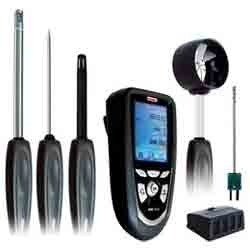 We are one of the leading manufacturers, traders, and exporters of high quality Digital Data Loggers. 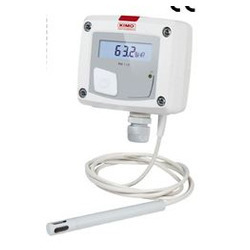 Data Logger for Temperature, Humidity, Light, CFR Compliant, and related. These products are manufactured using sophisticated plant machinery coupled with technology. These products are widely used to record data over time or in relation to location. 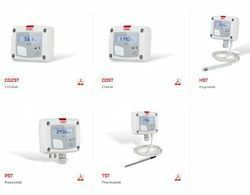 These products are highly acclaimed for easy mounting and programming allows the user to integrate with existing HVAC systems. These products are offered at cost effective market prices. 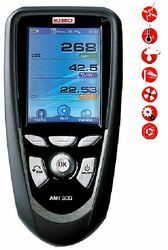 We are the prominent manufacturer and exporter Professionals Anemometer, these are known for their quality standard. It is easy to install, as well as easy to operate. 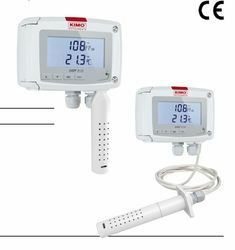 These anemometer for professionals are highly appreciated by our client. 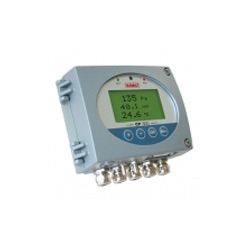 We manufacture highly durable Differential Pressure Transmitter at market leading prices. 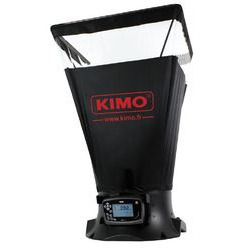 These devices are made of premium quality raw materials procured from trusted vendors. These devices are known for their reliable quality. We assure timely delivery of our products. 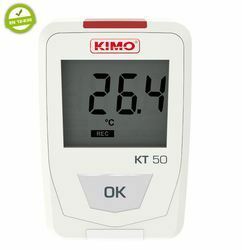 Our Temperature & Air Velocity Transmitter are manufactured from high grade quality material, with cost effective method. 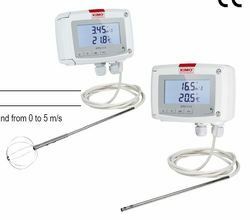 These are available in varied specifications, our temperature & velocity transmitter are known for their competitive price in market. Ambient temperature: Pt100 1/3 Din. 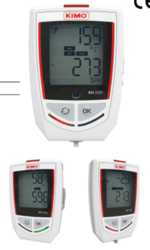 Complete Range of Data Loggers for all HVAC and R applications. For Pharma, Lab, and other applications. Easy, user-friendly configuration with Kistock software. recorder to your PC and download all measurements in a few seconds. 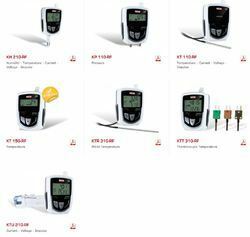 Install the KISTOCK and required probes to measure and store data. Complete Range of Transmitters with Display, No Display, 4-20mA, and 0-10V Signals. Extremely Reliable for Industrial Aplpications. 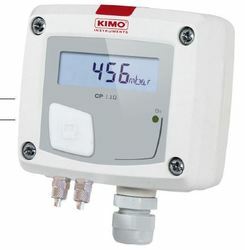 Class 310 Transmitters All In 1 Pressure Temperature etc. With 4-20mA or 0-10 V Signal. Digital Programmable Stats or Switches. 75 x 40 mm, LCD 20 digits 2 lines. 75 x 40 mm, LCD 19 digits 2 lines. hygrometry and 0-50°C in temperature for the output 2. INSTRUMENTS IN LABORATORY OR ON-SITE. 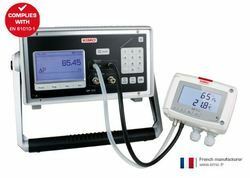 *All the accuracies indicated in this technical datasheet were stated in laboratory conditions, and can be guaranteed for measurements carried out in the same conditions, or carried out with calibration compensation. We carry out calibration, adjustment and maintenance of your devices to guarantee a constant level of quality of your measurements. As part of Quality Assurance Standards, we recommend you to carry a yearly checking. 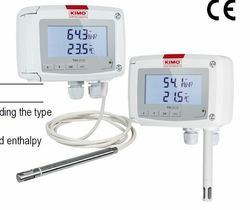 Factory calibration uncertainty: ±0.88 %RHTemperature dependence:±0.04 x (T-20) %RH (if T≤15 °C or T≥25 °C)Setpoint alarms 2 setpoint alarms on each channelNumber of points 50 000Frequency ofmeasurementFrom 1 minute to 24 hoursOperating temperature From -40 to +70 °C From -20 to +70 °CStorage temperature From -40 to +85 °CBattery life 3 years2 500 days2European directives 2011/65/EU RoHS II ; 2012/19/EU WEEE ; 2004/108/EC EMC ; 2006/95/EC1 All accuracies indicated in this document were stated in laboratory conditions and can be guaranteed for measurement carried out in thesame conditions, or carried out with calibration compensation.2 On the basis of 1 measurement each 15 minutes at 25 °C.3 The battery must be in compliance with the 60086-4 standard. 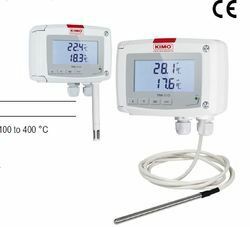 We provide wide range of Humidity and Temperature Transmitter, these are manufactured from quality material and are easily available in market at competitive price. Our products are known for their reliability, quality and durability. These are available at varied specifications. 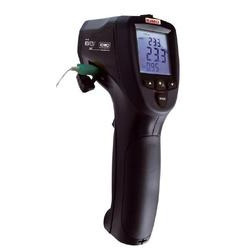 We are one of the leading manufacturers, suppliers, and exporters of high quality Infrared Thermometers. 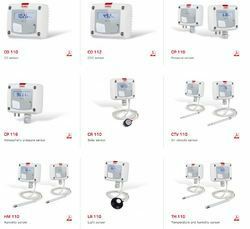 These products are widely used to measure the thermal radiation emitted by a body without any contact. 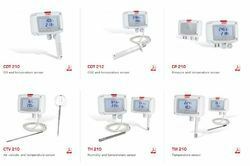 These products are highly appreciated for the wide range of temperature that these device can measure. These products are offered with laser sighting and dual laser sighting. These products are available at standard market prices to our valuable customers. 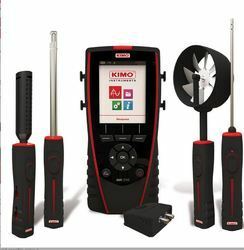 We offer a high range of HVAC Portable Instruments to our valuable customers. These products are available at standard market prices without compromising on our quality. 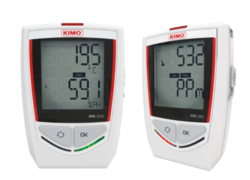 These instruments include a complete range of anemometers, temperature meters, and wind velocity meters. 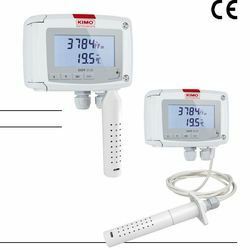 These products are highly appreciated for the effective HVAC installations from kimo electronic. These products are fully tested under the supervision of experts before being dispatched to our valuable customers. Owing to vast experience in these fields, we are engaged in offering high quality Sensors Transmitters to our valuable customers. 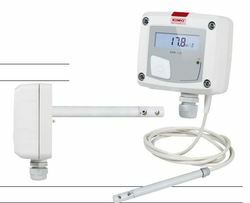 These products are offered with interchangeable measuring sensor for effective monitoring of temperature and pressure. These products are equipped with two visuals, dual color LED and audible alarms, to ensure high standards of safety to our valuable customers. These products are offered at cost effective market prices without compromising on our quality. Our Air Flow Meter are known for their best quality, our clients can avail these air flow meter for air balancing at reasonable price. These are manufactured from quality material, we believe in client satisfaction while delivering these products to our valuable clients. 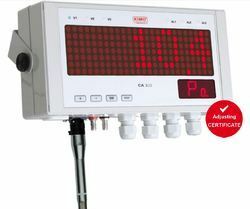 DBM610 airflow meter comes in standard with a 610 x 610 mm hood. 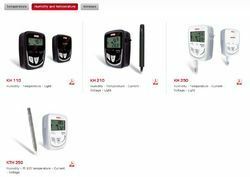 Looking for HVAC Sensors, Transmitters, Instruments, and Data Loggers ?